Record Store Day just two days away! With only two days to go until Record Store Day 2015 we have been over to RSD partner record store, Hundred Records in Romsey to set up this cracking vinyl playing music system in time for this exciting event! Rega are proud to sponsor Record Store Day this year and we are equally proud to give owner of Hundred Records, Mark Wills' customers the opportunity to hear their newly purchased vinyl on this superb Rega based hi-fi. The turntable is a Rega RP6 running into a Rega Elicit R amplifier. 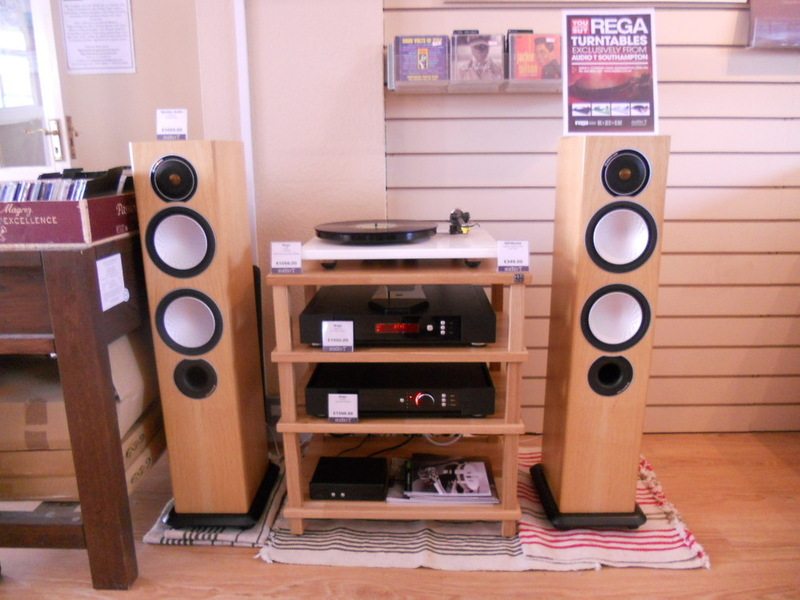 A Rega Saturn R CD player is also connected just in case anyone wants to hear a CD, and the system is housed on a solid oak HiFi Racks Podium Slimline rack which nicely matches the real wood veneer of the Monitor Audio Silver 6 speakers. Having seen some of the many boxes of special new releases arriving at Hundred Records we are sure that Mark will have a busy and exciting day on Saturday! Any customers buying new releases at Hundred Records on Record Store Day will be entitled to 10% discount on any Rega products purchased from Audio T Chandlers Ford until May 30th. Good luck to everyone queueing in Romsey to get some exclusive vinyl on Saturday! Have a listen to the Rega system in Mark's store if you get a chance and we look forward to seeing you here to cater for your turntable and hi-fi needs. We'd love to hear some of your new records too!